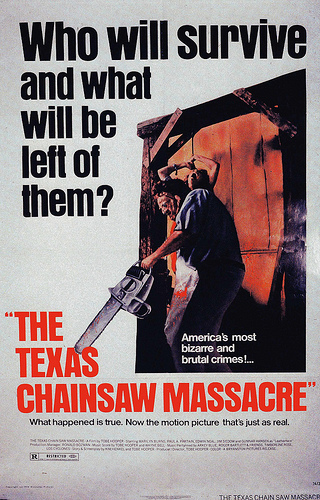 The Texas Chainsaw Massacre is a film I found extremely disturbing when I first saw a re-release of the movie, due to its graphic violence and horrific themes. Directed by Tobe Hopper (Poltergeist) and starring Marilyn Burns, the film claims to be based on a true story (to add to the terror) though it is a work of fiction. A group of friends are travelling by van in the countryside to visit a family grave and old homestead when they fall victim to a family of cannibals living in a creepy, dilapidated rural home. Upon release, the movie received mixed reviews and controversy, being banned in a number of countries and theatres due to its graphic violence. Made on a budget of $300,000, the movie became a successful cult classic, grossing about 30 million worldwide, and is credited for influencing many slasher horror films that followed it. I am not a fan of the 2003 remake that grossed over 100 million worldwide. 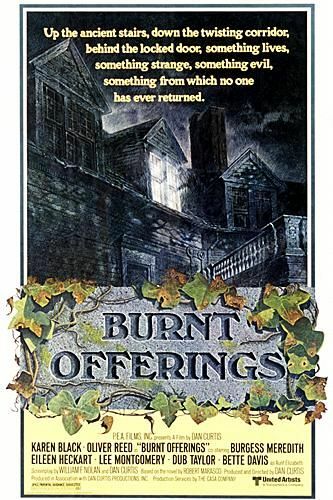 Filmed at the famed Dunsmuir House in California, Burnt Offerings is a haunted house story directed by Dan Curtis (Dark Shadows) and featuring a strong cast including Karen Black (Trilogy of Terror), Oliver Reed (The Devils), Bette Davis (What Ever Happened to Baby Jane? ), Burgess Meredith and Eileen Heckart. A family takes over the care taking of a large mansion for an elderly brother and sister only to experience strange supernatural going-ons. The house seems to be rejuvenating itself with each injury and death that occurs. The movie features strong performances from the cast and a suitably foreboding atmosphere, as the suspense of the film builds towards its creepy climax. Though this movie received mostly negative reviews from the critics, it is worth a look for fans of scary movies. The film did go on to win three Saturn Awards in 1977: Best Horror Film, Best Director and Best Supporting Actress (Davis). 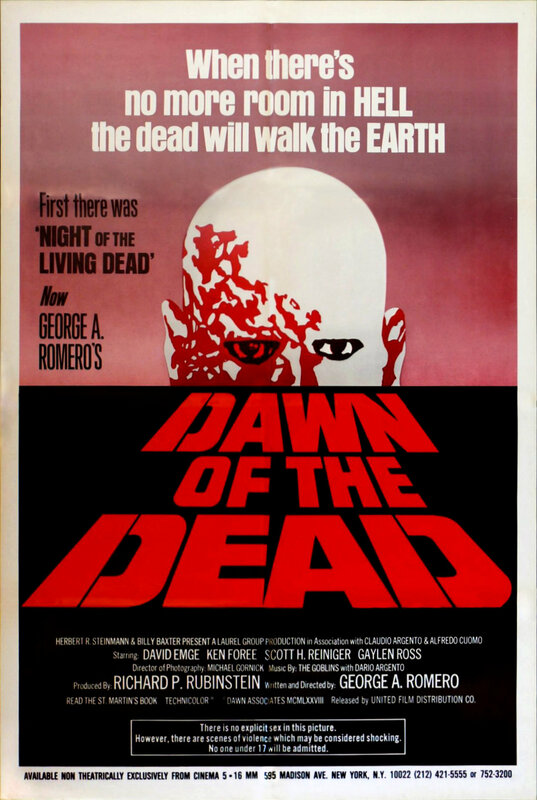 Written and directed by George A. Romero (Night of the Living Dead) is the second of Romero’s zombie apocalyptic movies. 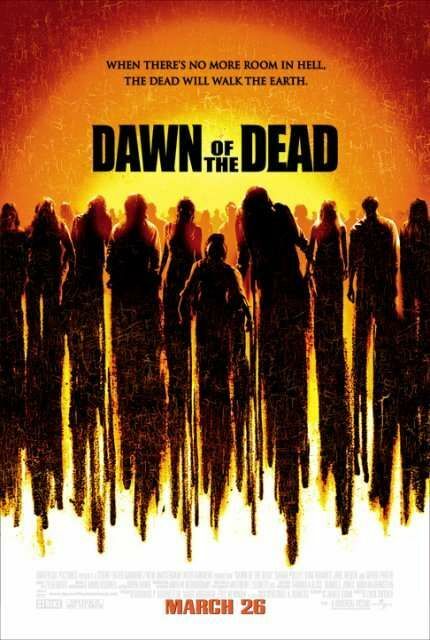 A worldwide pandemic, where the dead are brought back to life as flesh eating zombie creatures, has spread to a town where survivors barricade themselves in the local shopping mall to survive. The movie skillfully combines humour with the horror, as the zombies are mindlessly drawn to the mall and the terror mounts. Most reviews for the film were positive. Made for around $600,000, the movie went on to gross 55 million worldwide, making if the most success of Romero’s zombie films. Equally good is the 2004 remake directed by Zack Synder (300) and featuring Sarah Polley (Splice), Ving Rhames (Mission Impossible III) and Jake Weber (Medium). With strong performances, great characters, heart pounding action and strong reviews, the movie went on to gross over 100 million at the box office. 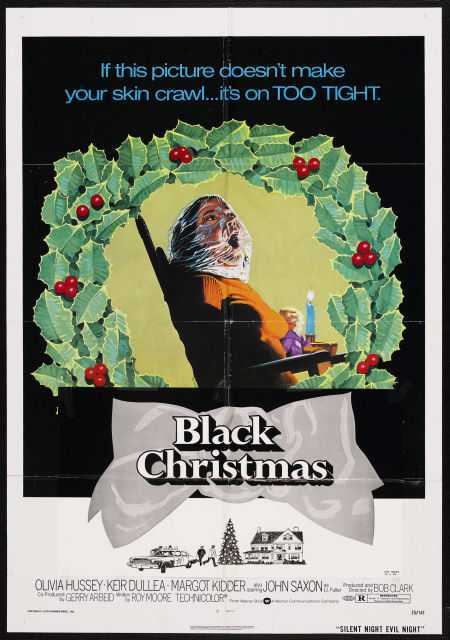 Before Halloween, there was this low budget Canadian slasher movie directed by Bob Clark (A Christmas Story). The movie features Olivia Hussey (Death on the Nile), Keir Dullea (2001: A Space Odyssey), Margot Kidder (The Amityville Horror), Andrea Martin (SCTV) and John Saxon (A Nightmare on Elm Street). As Christmas approaches, a mostly vacated sorority house is threatened by creepy obscene phone calls culminating in the remaining young women being stalked and killed by a crazed killer. The movie is both campy and frightening, containing strong performances, in particular by Hussey (as the terrified lead) and Kidder (who is hilarious as a foul mouthed drunk). The film has since gone on to become a cult classic and the inspiration for other slasher films that followed like Halloween and Friday the 13th. In the United States, it was released as Silent Night, Evil Night. Do not bother with the awful 2006 remake. 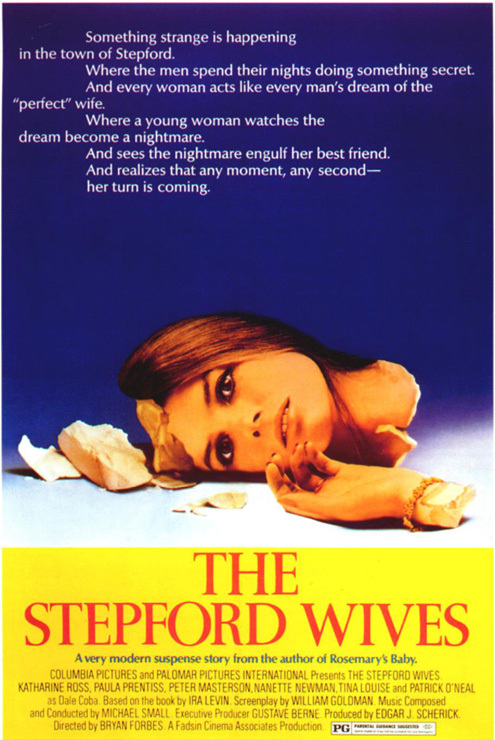 During the height of the feminist movement, Ira Levin (Rosemary’s Baby) wrote a best-selling novel which was adapted into a screenplay by William Goldman (Marathon Man) and made into this suspenseful thriller directed by Bryan Frobes and featuring Katharine Ross (The Legacy), Paul Prentiss (The Parallax View) and Tina Louise. A young mother (Ross) moves from New York with her husband and two children to a small, idyllic town where the women are all the epitome of the perfect wife, mother and homemaker. As Ross’ character slowly begins to uncover the mystery behind the town’s beautiful facade, she learns that something more sinister is at play here. The movie is effective due to the strong performances and building suspense with Ross’ character racing against time as her very existence is a stake. Though only a moderate success when it was released, the movie has gone on to become a cult classic. Note: The 2004 comedy remake directed by Frank Oz and featuring Nicole Kidman, Bette Midler and Glenn Close is terrible. Posted on October 14, 2012, in Horror, Movies and tagged Andrea Martin, Bette Davis, Black Christmas, Bob Clark, Bryan Frobes, Burgess Meredith, Burnt Offerings, Dan Curtis, Dark Shadows, Dawn of the Dead, Dawn of the Dead (2004), Dunsmuir House, Edwin Neal, Eileen Heckart, George A. Romero, George Romero, Gunnar Hansen, Halloween, Horror Films, horror movies, Ira levin, Jake Weber, Jim Siedow, Karen Black, Katharine Ross, Keir Dullea, Kim Henkel, Margot Kidder, Marilyn Burns, Movies, Nightmare on Elm Street, Oliver Reed, Olivia Hussey, Paul A. Partain, Paul Prentiss, Robert Marasco, Romero, Sarah Polley, scary films, Scary Movies, Stepford Wives, Texas Chainsaw Massacre, The Devils, The Stepford Wives, The Texas Chainsaw Massacre, Tina Louise, Tobe Hooper, Trilogy of Terror, Ving Rhames, What Ever Happened to Baby Jane?, William Goldman, Zack Synder. Bookmark the permalink. Leave a comment.